The penchant for counterfeit goods in Russia extends beyond fake Supreme gear, of course, to pharmaceuticals, electronics, and luxury goods. In fact, the demand is so great that over $43 billion worth of counterfeit goods – almost 10 percent of the global counterfeit trade – are sold in Russia each year, according to a European Union Intellectual Property Office survey, despite the country being party to several international treaties that address the illegality of and dangers associated with counterfeiting. Of the billions of dollars’ worth of mostly China-made counterfeit goods sold annually in Russia, counterfeit designer clothing accounted for nearly 40 percent of the total retail turnover as of late 2011, with expectations being that that number would only grow in years that followed. More recently, the figures have been put forth demonstrate that the demand for counterfeits is alive and well. As detailed in a study published by the Journal of Economic Sociology, researcher Ekaterina Khramova surveyed over 2,000 Russian consumers. Of those individuals, 30 percent said that they had bought counterfeit products in the last year and 42 percent of those products were garments and/or luxury goods. The study, entitled, Ambivalent Consumer Attitudes toward Counterfeits, revealed that this demand for counterfeit goods, “like any social phenomenon, was not based solely on economic factors,” such as the desire to buy counterfeits because “the real thing” is too expensive. Maybe the most fascinating of Khramova’s findings is this: Consumption of counterfeit garments and accessories depended less on the individual buyer’s income (or lack thereof) than it did his/her level of education, and consumers with higher levels of education tended to buy more counterfeit goods. Yes, you read that correctly. The profile of those purchasing counterfeit goods, according to Khramova’s survey, was “practically the same as” those that actively choose not to purchase counterfeit goods and those that are duped into buying counterfeit goods in their search for authentic goods online. Still yet, of the consumers that do purchase counterfeits, Khramova found that, more often than not, they specifically seek out the counterfeit garments and accessories, instead of the real thing (i.e., they were not duped into buying fake products that they thought were authentic). Considering that “the share of purchases of counterfeit goods for people with high incomes in general is growing in categories,” such as fashion, Khramova asserts that “it can be assumed that the quality of counterfeit products has actually improved in recent times.” In addition to the higher quality of modern-day counterfeit goods, Khramova revealed that this pattern of behavior is due, in part, to consumers’ general willingness to purchase fake branded garments and accessories, as opposed to “more serious” things, such as ingestible products like counterfeit alcohol, tobacco products and medicines. For decades, this meant that many products, including luxury goods, were simply out of reach of Soviet Russia (due to a lack of direct channels to buy Western goods, including denim, as Heddels has documented). In 2018, though, this takes a different form. As noted by Elizaveta Osipchuk and David Aylen of London-based law firm Gowling WLG, while traditional luxury brands, such as Chanel, are highly targeted by counterfeiters, trendier non-luxury brands, such “Yeezy, BAPE, Off-White, Supreme, Thrasher and Vetements,” are increasingly being manufactured and consumed by individuals in Russia due to the high level of demand for these brands and their limited-edition collections/collaborations, which commonly exceeds supply. Louis Vuitton’s Supreme collaboration provides a telling snapshot of how counterfeiters are thriving based on consumers’ desire (in Russia and beyond) to get their hands on otherwise barely-available products. 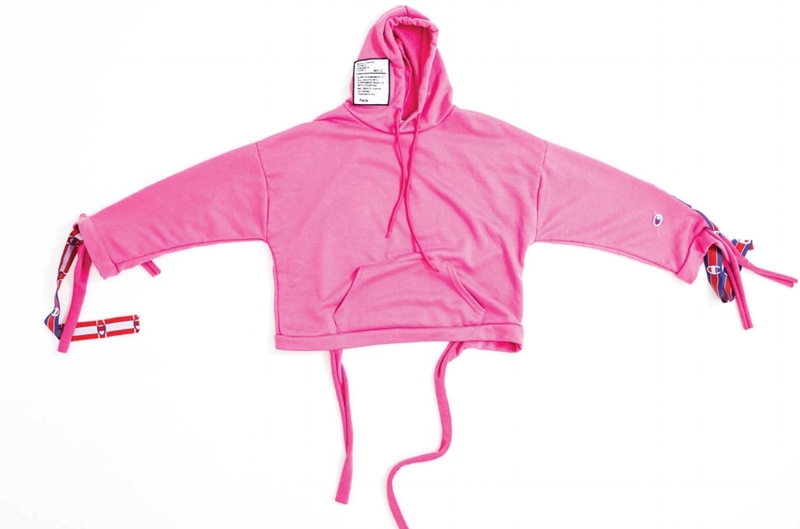 The highly-coveted collab has been copied extensively due, in large part, to the fact that it was very limited in quantity, expensive from the outset, and even more outlandish in terms of price at resale. Instead of merely seeking out counterfeits as a way to access otherwise unaffordable products, Russian consumers (not unlike like many Western consumers when it comes to Yeezy Boosts and Supreme x LV hoodies) are being forced to rely on counterfeits in order to get their hands on certain products at all. It is just as Khramova stated, there is simply more to the counterfeit economy than exclusively cost concerns. Pair that with the fact that “the internet – and social media – has completely transformed the counterfeit goods sector by offering greater anonymity and less risk of prosecution for buyers and sellers alike. Gone are the days of lurking in unsavory markets to purchase fake merchandise,” and you have a fully functioning market for fakes – in Russia and the world at large.